Coloring Faces & Hair with Copic Markers is your inside guide to getting the best results using Copic brand markers to depict faces and hair — an essential skill for illustrators, graphic novelists, and cartooners. 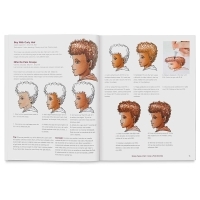 The book includes 15 tutorials ranging from simple to complex. 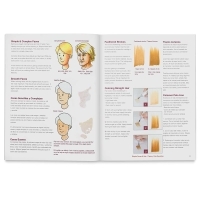 Expert laydown, blending, and tone control are clearly explained and demonstrated. 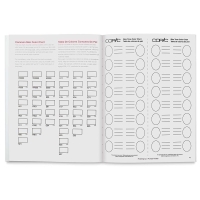 Color directly in the book or copy and print the black-and-white line art to color again and again. Coloring Faces & Hair with Copic Markers includes English and Spanish translations on each page. 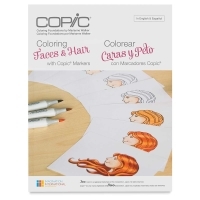 It is part of the Copic Coloring Foundations series. Paperback. 48 pages. 5¾" × 8½" (15 cm × 22 cm).